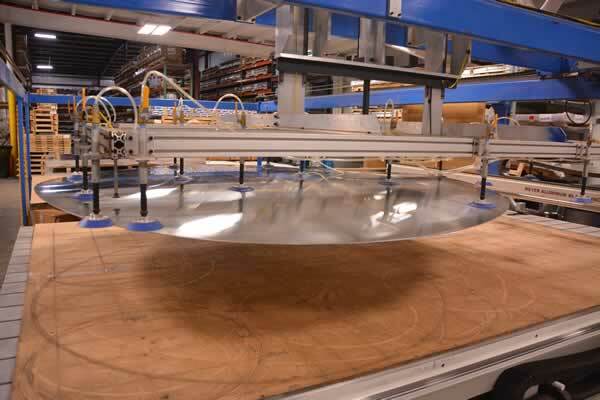 Rolled Aluminum: Aluminum Routering: Meyer Aluminium Blanks, Inc.
From routering complex shapes with tight tolerances to simple shearing, Meyer has the processing services to meet your needs. We can offer nearly any shape and size rolled aluminum product without scratches, blemishes, or marring. 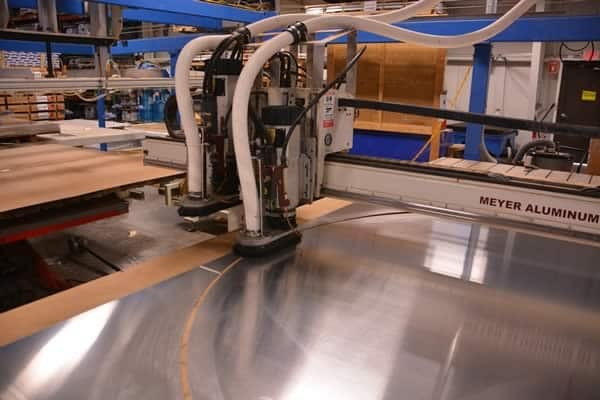 We at Meyer have extensive training and experience in the handling of “0” temper aluminum, and we consider ourselves the pioneers of using a router to cut “0” temper aluminum. A router’s straightforward design, low cost of maintenance, and minimal energy usage provide an excellent alternative to more costly C02 or fiber lasers. As your partner, we are happy to reverse engineer parts or process shapes according to your unique drawings. Bakal Square Shear Up to 120"